Flags Avant Garde, Andheri West, Mumbai has various spaces that are ideal for social events, pre-wedding functions and transforms into a charming wedding venue with the decorator's touch. 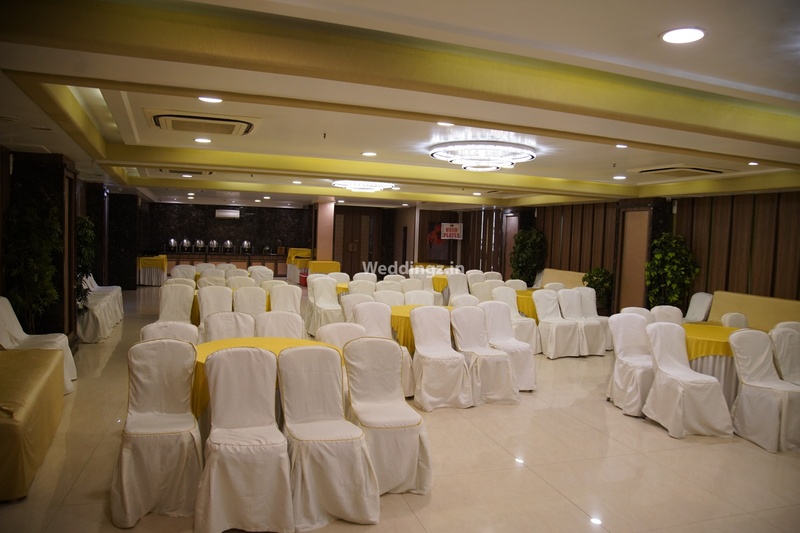 The pillarless banquet halls provide an unobstructed view of the ceremonies in progress. 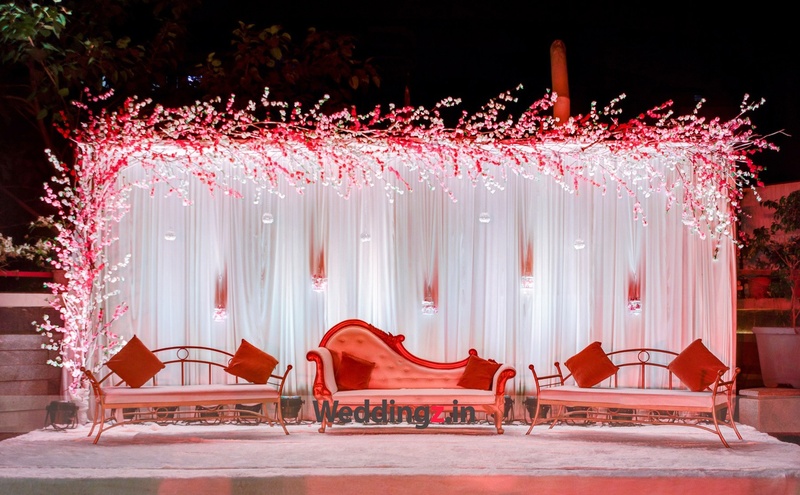 Flags Lokhandwala has grand chandeliers that not only create drama with wonderful mood lighting but also lend a regal ambience to this wedding venue. 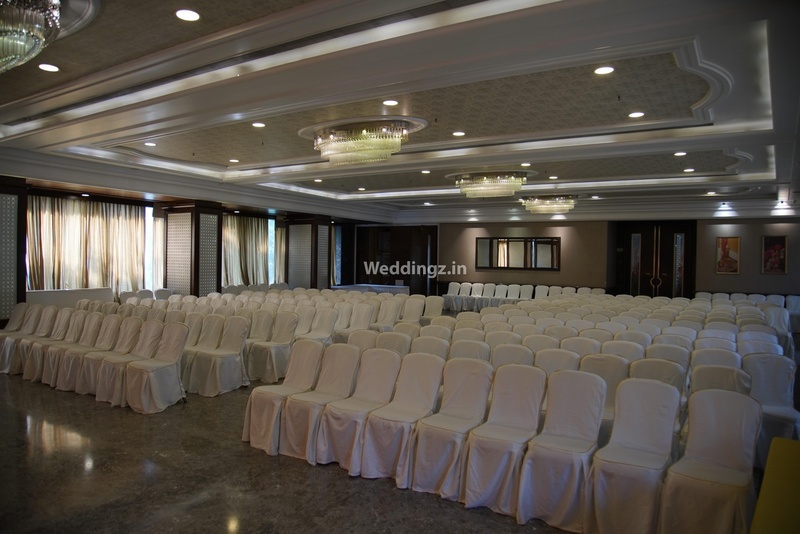 It has larger, more spacious Albert Hall that is great for a wedding event while the smaller Flags Banquets Lokhandwala is a good space for pre-wedding events, birthday parties and small corporate gatherings. It has a terrace space that is great for hosting glamorous cocktail parties or bachelorette parties. Flags Andheri serves mouthwatering multi-cuisine delicacies to choose from in both vegetarian and non-vegetarian food. It is a well-established brand and the team here will ensure that your wedding is a flawless affair. The decor team takes care of the decoration for your big day. Flags Restaurant And Banquets has two-time slots you can choose the one which suits you the best for your big day. The venue is located near Marks & Spencer and Infinity Mall which makes it easily accessible for all. It offers ample car parking space and valet parking service to their guests for their convenience. Flags Avant Garde, Andheri West, Mumbai offers complimentary changing rooms for the bride and the groom on their special day. Flag's Avant Garde is the perfect venue for all of your celebrations, be it a birthday party, wedding, engagement or a social gathering. The venue is especially known for tasty multi-cuisine food with a separate kitchen for vegetarian and non-vegetarian food. 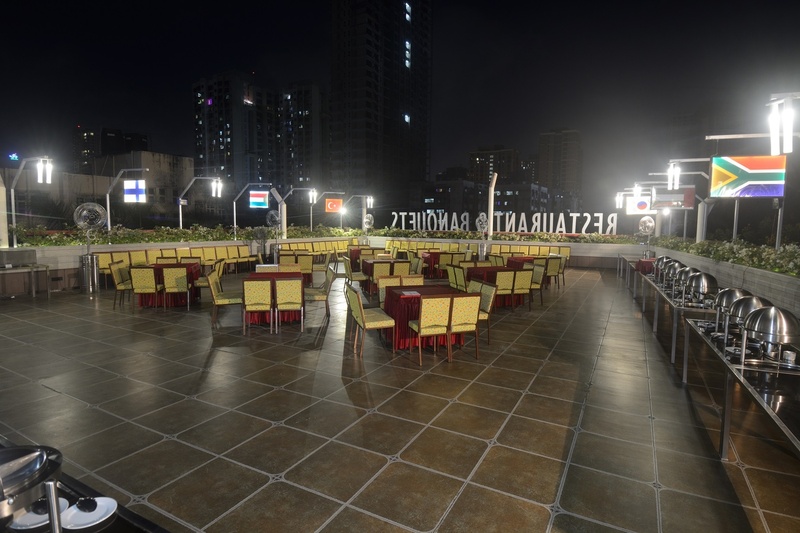 A separate dining area on the terrace makes your event hassle free. Also, the beautiful waterfalls at the Bistro make the area look stunning!!! The Flag's Avant Garde located in Andheri West, Mumbai has Cocktail Venues, Banquet Halls and Wedding Lawns. Albert + Terrace can accommodate upto 375 guests in seating and 600 guests in floating. Bistro can accommodate upto 80 guests in seating and 120 guests in floating. Flags Banquet can accommodate upto 150 guests in seating and 200 guests in floating. Richard's Lawn can accommodate upto 400 guests in seating and 600 guests in floating. Vegetarian and Non Vegetarian food is served at this venue. Features of this wedding venues are : Food provided by the venue , Non-Veg allowed at the venue , Alcohol allowed at the venue , Outside alcohol allowed at the venue , Halls are air Conditioned , Ample parking , Baarat allowed , Hawan allowed , Overnight wedding allowed , Decor provided by the venue , Packages starts at Rs 950 per plate for vegetarian menu and at Rs 1050 for non veg menu. Decoration starts at Rs 45000.